Brad Paulson has owned and operated his brokerage company, Northern Crops Marketing and Investments, Ltd., since 1996 and moved it to Grand Forks, North Dakota, in December of 2013. He has many years of proven leadership; prior to opening his own firm, Brad worked for Merrill Lynch and Smith Barney in Fargo, North Dakota. He has 30 years of experience as a licensed commodity broker and 39 years' experience in futures trading. Brad has a degree in Farm Operations and Management and attended North Dakota State University in agricultural economics. Brad can be heard regionally on Wednesday afternoons on Red River Farm Network’s market closings radio program. Brad’s roots are in Cavalier County, and he had been involved in agricultural production all of his life until retiring from farming in the fall of 2013. 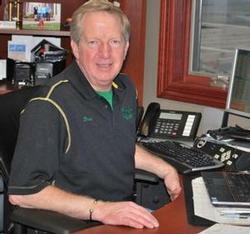 He and his wife Marcy reside in Grand Forks with their dog Ace. Their daughter Marisa is employed as a senior integrated marketing manager in the Twin Cities area. Brad and Marcy's son Rob works in video editing in Minneapolis. 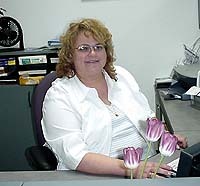 Marcy Paulson is the office operations manager of Northern Crops Marketing and Investments, Ltd. She has twenty-two years of experience in this position. Marcy previously worked as a secondary teacher in mathematics and English. Marcy is contemplating studying for the Series 3 exam in order to become a licensed commodity broker.